On the way to Kalinga! Staunton Road / Junction – separates the way to Sagada and Bontoc; Sagada is more or less 45 minutes – 1-hour jeepney ride from Bontoc. Kalinga, as one of the provinces of the Cordillera Administrative Region, is a hidden gem that waits to be discovered by the modern-day traveler. 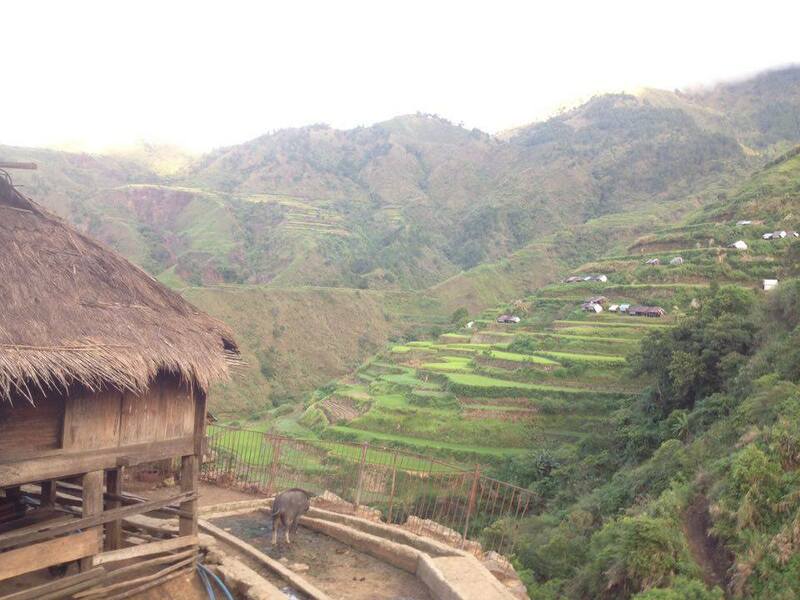 Though it is quite challenging to reach the province, the travel time is very worth it. 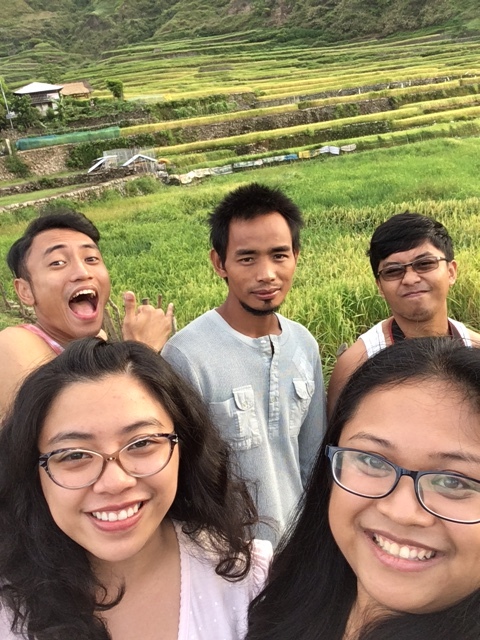 Your eyes will be elated to see rice terraces anywhere along the Halsema Highway. While on your way, too, you will get to pass by the highest point in the Philippine Highway System at 2,255 meters (7,400 feet) above sea level in Paoay, Atok, Benguet. Umali kayo! Kalinga has many tourist spots that you cannot wait to see when you are there. Starting from Tabuk City, this 7-municipality-and-1-city province is now slowly becoming known as a tourist destination in the Cordilleras. Undoubtedly, one of the attractions that you have to visit in Kalinga is found in Buscalan in the municipality of Tinglayan. 2 hours away from Bontoc (Mountain Province) and three hours away from Tabuk City, this is where you will find one of the living treasures of the province and of their village as well – Apo Whang-Od. 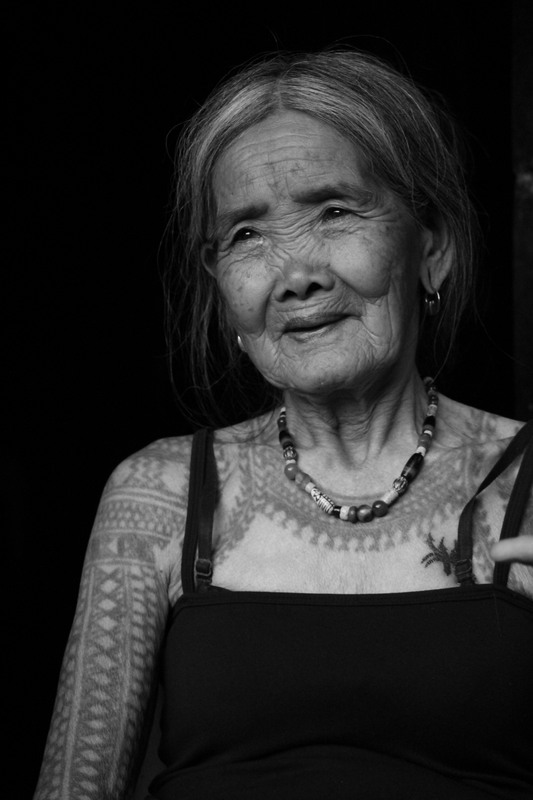 Recently gaining international recognition for her invaluable art and contribution to the ‘culture bank’ of the Philippines, Apo Whang-Od, locally known as ‘Fang-Od,’ is known widely as the “Last Mambabatok (Traditional Tattoo Artist) of Kalinga.” Although she now has her granddaughter-successors, she still practices the traditional way of putting tattoo onto one’s skin. Having tattoos in the highlands is very symbolic. Be it a representation of one’s social status, wealth, or personal body ornament, tattoos are treated with respect and is sacred in the highland culture. So I did not waste any time on having one because I believe that her form of art will be immortalized in my memory and in my skin and that I will remember her whenever I share my stories with other people. As a highlight of the blog, I am traveling to key and select places in the Philippines where I feel like you can only spend PhP 1000 or below (talk about super budget travel) while maximizing my experience in that destination. Also detailed is my on-the-spot itinerary and expenses incurred during such trips. This is my third 1000-peso challenge as to date. 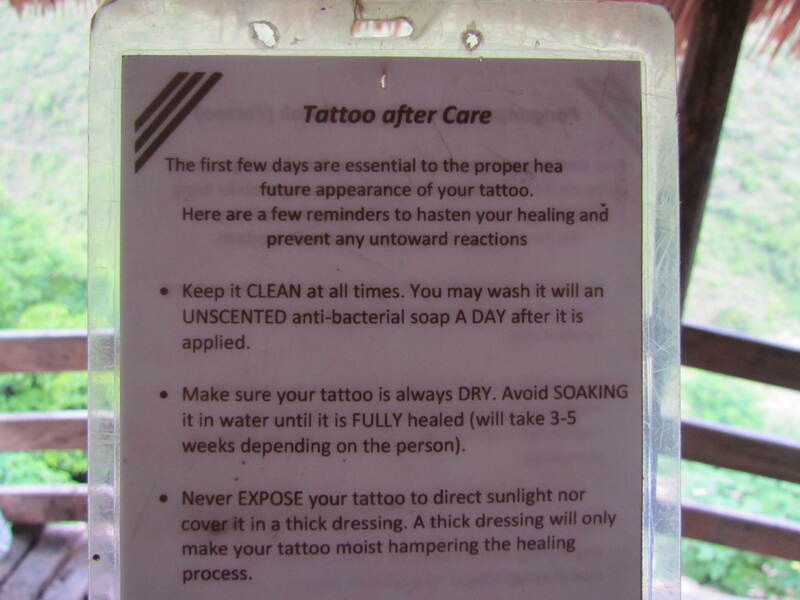 Kalinga then is an unexpected tourist destination thus making me wonder if my challenge would work in the quest of being inked by Apo Whang-Od (and by exploring the rest of the province soon!) This is it! 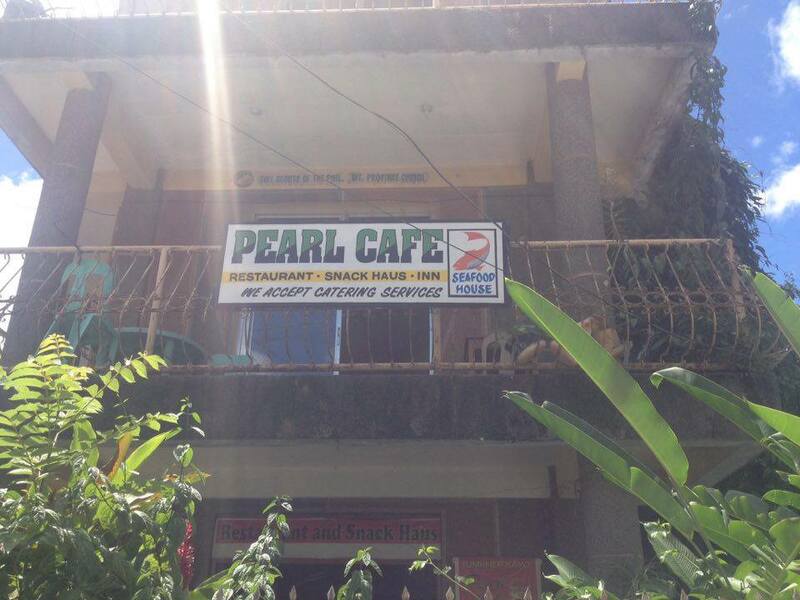 We then ate brunch in The Pearl Café in downtown Bontoc near the Government Center before departing for Buscalan. 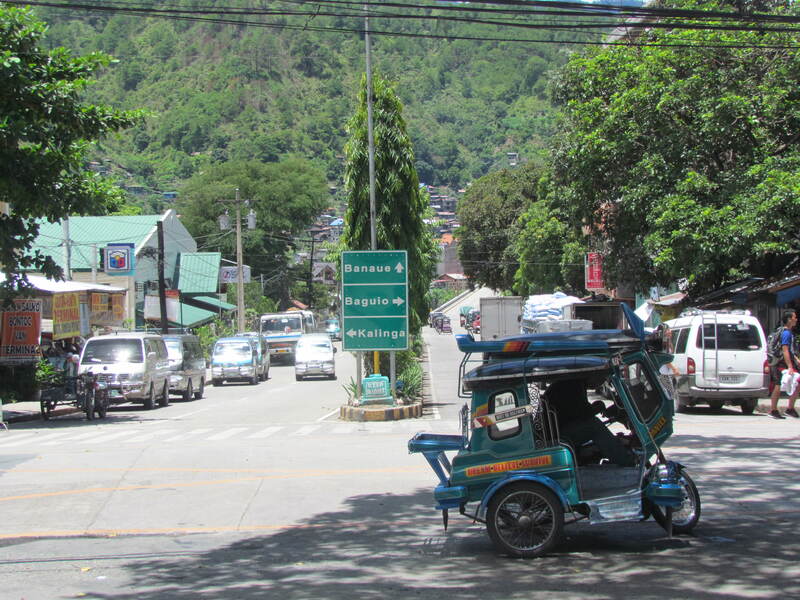 The café is only a few steps away from the jeepney terminal going to Buscalan. 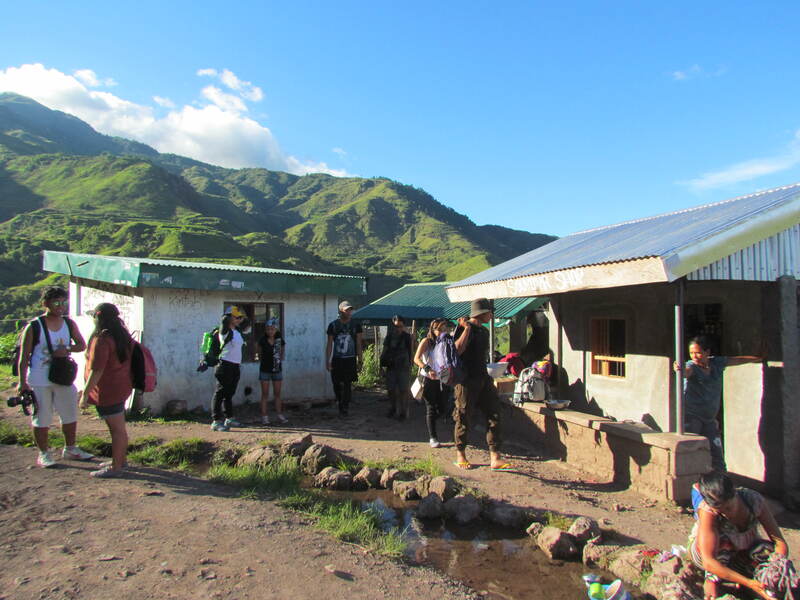 If going to Buscalan village, Tinglayan, there is only one (1) jeepney trip going there that leaves at either 1300 or 1400 H daily, so it is better if you arrive there an hour before because the jeepney will be filled with lots of supplies and things of locals and tourists. The terminal is located beside the Mountain Province State Polytechnic College. Ask the staff-on-duty at the Tourist Assistance Center in downtown Bontoc for directions and worry not because the terminal is just easy to find. 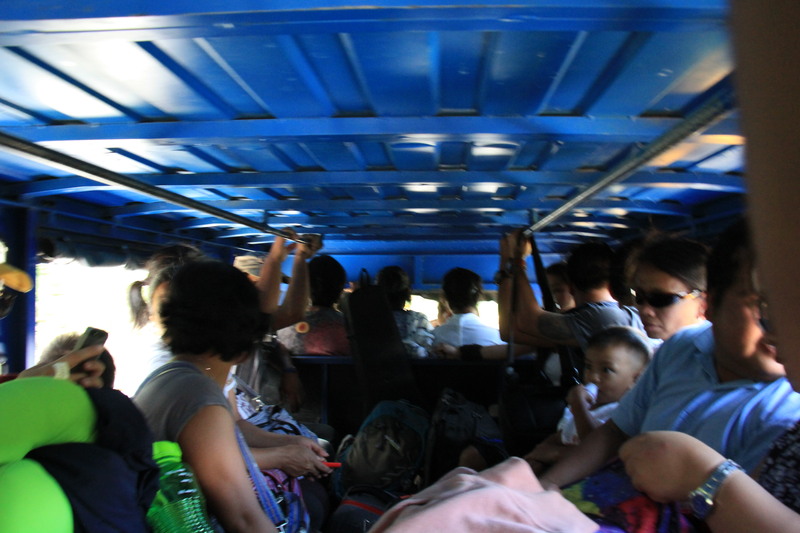 The travel time from Bontoc to Tinglayan (Buscalan Village) is approximately 1 hour 45 minutes to 2 hours. 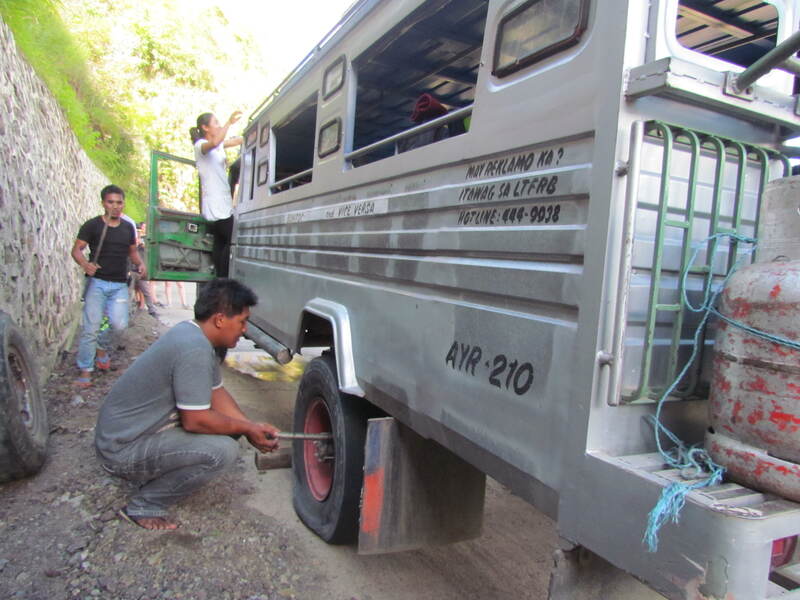 Unfortunately, when we were on our way to Tinglayan, our jeepney had a flat tire (charging it to experience!) making our travel time around 2 hours and 30 minutes. Upon reaching the village, register your name/s at the very first souvenir shop for easy monitoring of guests entering the village. This is also where they will give you your batch or group number (to your guide) when planning to get a tattoo from Apo Whang-Od or her granddaughters. This is on a first-come-first-served basis. 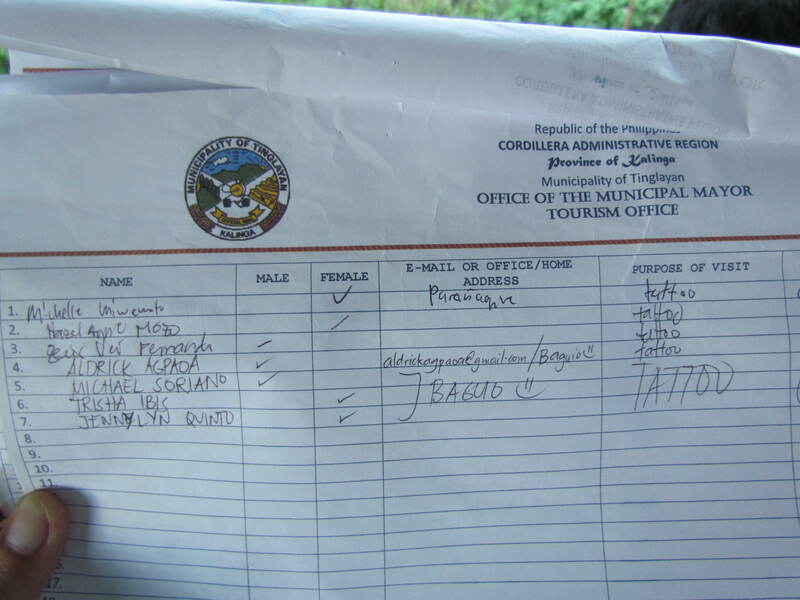 Registering first in Tinglayan, Buscalan, Kalinga! At the souvenir shop, they sell ground coffee for only PhP 100 (US$ 2) per plastic pack. Our guide said that they usually plant the robusta species of coffee. Other souvenirs that can be bought in the village are necklaces, bracelets, t-shirts, and traditional knives of different sizes among others. Board and Lodging depend on the price of your contact person but the price usually ranges only from PhP 250 – 350 (US$ 5-7) per person per night. 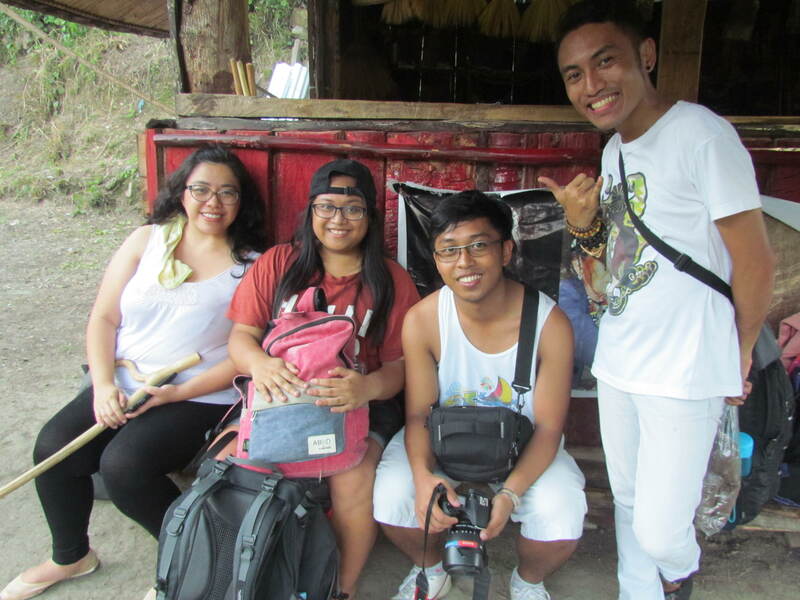 There is also a tour guide fee of PhP 1000 (US$ 20) for a group of 5 and below. Tattoo price depends on the size and design of your desired tattoo. There is a board where you can choose your tattoo design. The cheapest and smallest design ranges from PhP 300 – 400 (US$ 6-8) each and the biggest and most elaborate designs ranges from PhP 2000 – 3000 (US$ 40-60) each, especially when your tattoo requires shading, which is more difficult to make. 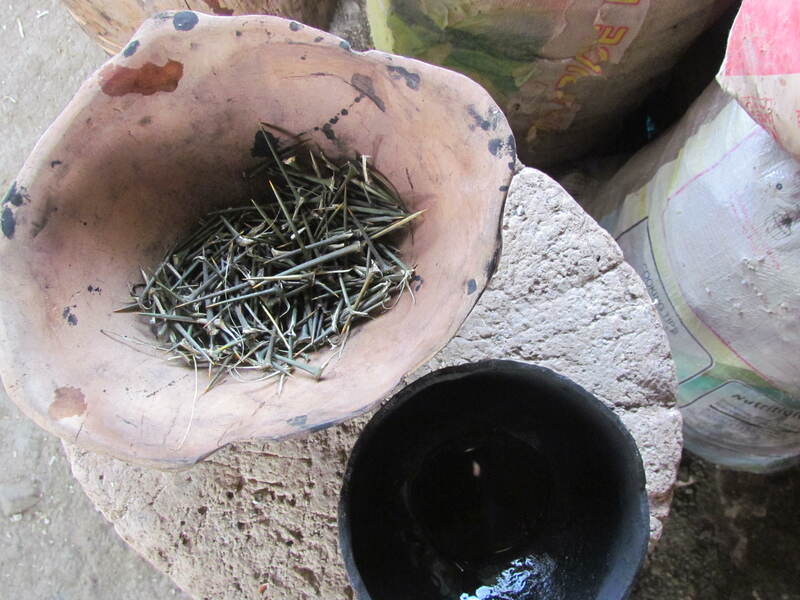 They use a liquefied form of charcoal for the tattoo’s ink and thorns from the pomelo tree as their ‘needle.’ After applying the tattoo, they put coconut oil on the wound to hasten the healing process. Emily, one of Apo’s granddaughters, patterning my tattoo. You can also get your tattoo at one of Apo’s granddaughters – ate Emily – when there are lots of clients lining up at Apo Whang-Od’s tattoo center. Especially on weekends, there are more or less approximately 20-30 clients lining up there, making Apo tired and moody. If she is moody, our guide said that she would hit the thorn real hard onto your skin and would not even talk or smile. So it is also better if you have a gift or present for her so she can be pleased (anything may do, as long as it is of value to her.) 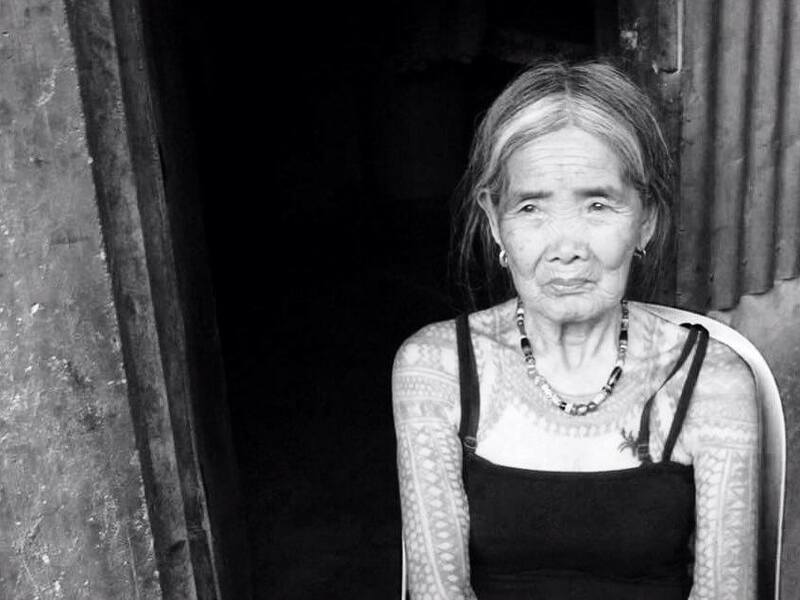 And at 99 years old, she is also considered as the oldest mambabatok (tattoo artist) of Kalinga practicing this rare form of art that is believed to be 1000 years old. We also got the chance to see the oldest craftsman in Buscalan in the person of Apo Whaychon (“Baydon” in Ilocano) who makes crafts and weaved knife cases at 104 years old! He is also game to pose in front of our cameras when we pictured him while doing his work. Turista Boy Tip: If you really want to maximize your time in the village, you can tell your guide that you can rent a van for only PhP 1500 (US$ 30), that shall depart at around 1400 H so you can catch the last bus trip to Baguio at 1600 H (D’ Rising Sun.) So you have to start going down the village at around 1230 or 1300 H. It is also good if you have other companions with you so you can divide the rental expenses among yourselves. 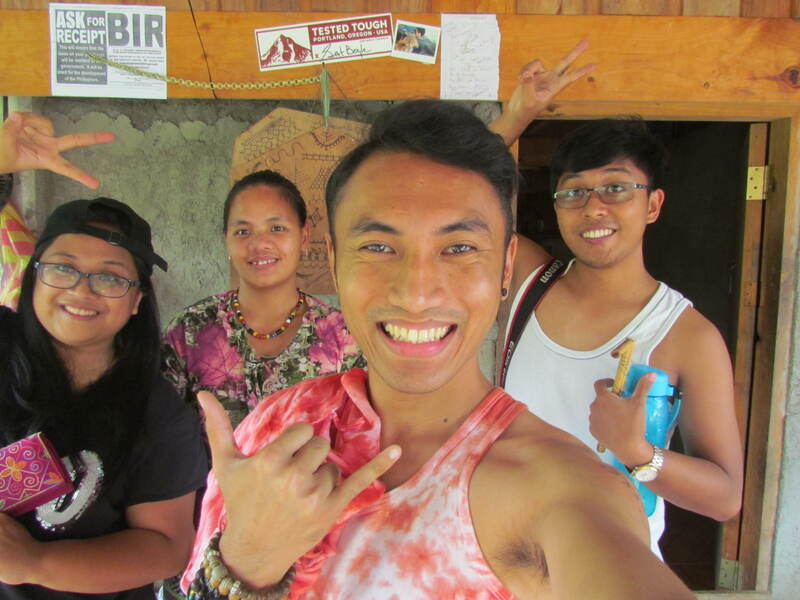 Buscalan Village in the municipality of Tinglayan is very lucky to be right in the middle of the advent of social media. 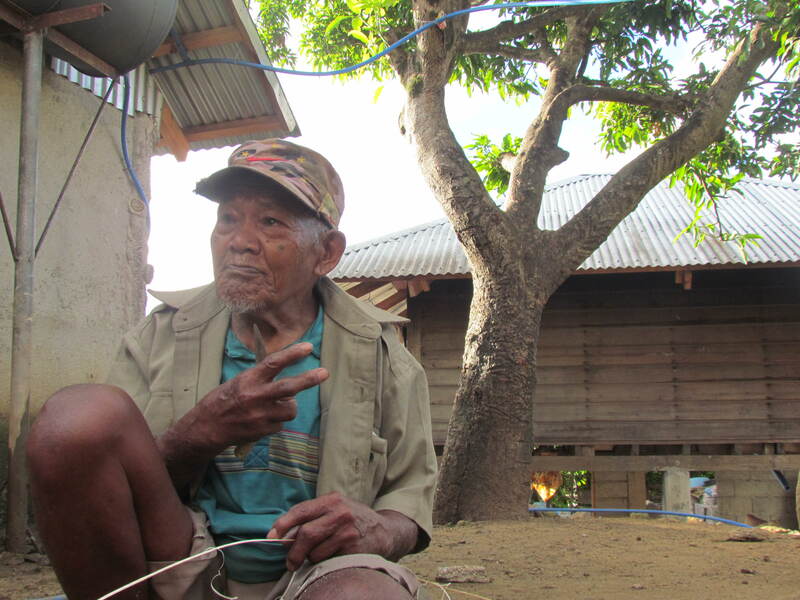 And they are lucky, too, to have Apo Whang-Od that brought additional livelihood to their village (aside from farming) even if it is very far from any other place in the province. I was just honored and star stuck to see her when we had the rare chance of having a chat with her when we arrived at the village. It is also good that she can speak a little bit of Ilocano and her mother tongue, the Kalinga dialect. What gave me a rating of just 9 out of 10 is that because of the distance of the village from the nearest one (it’s because it is situated on top of a mountain.) Also, we had no cellphone signal (for Globe subscribers) and hard-to-find signal for Smart subscribers. But it is also a good thing for me, too, personally because you get to enjoy the simple way of life – no cellphones or any other gadgets – just enjoying the beautiful view of the mountains and the company of the people around you. I may not have succeeded in this challenge but this trip is now in my memory bank. Yes! It was all worth it! You should experience it as soon as possible, too! 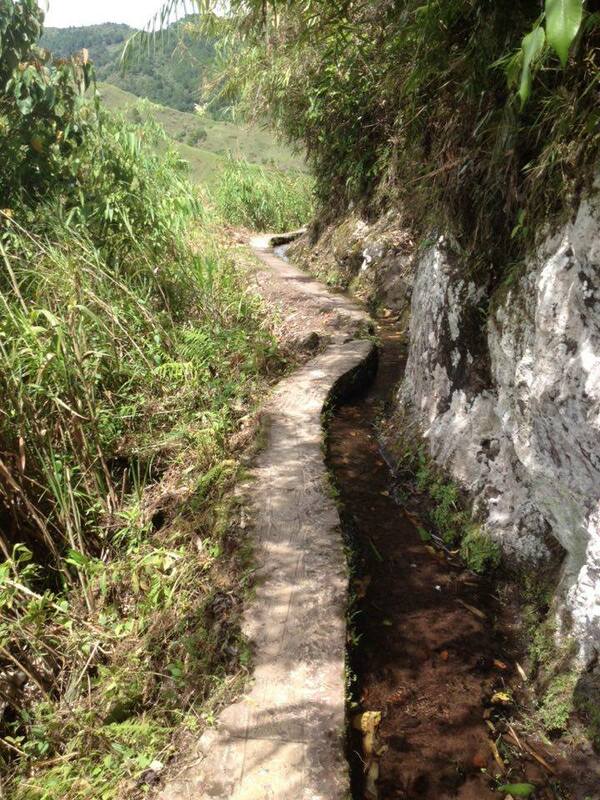 This is how pathways look going to Buscalan Village. Our host preparing our lunch! 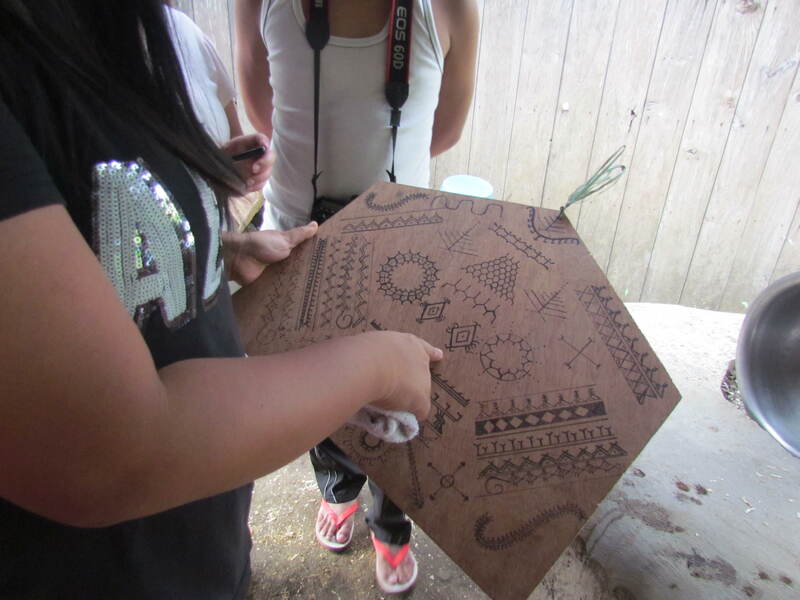 The board where you can choose your tattoo design. Must-see Tourist Spots in the province of Ilocos Sur! Extensive and very detailed! Kalinga, I think, is one if the less travelled, less popular destinations in the country but holds a lot of promise in terms of culture and heritage. Ouch! Yeah, that has got to hurt, but to be tattooed by a legend and a celebrity (she is popular, isn’s she), that is what you do when you get there. I have read about her from other bloggers and for the price of 1000 pesos, way to go! See more of you on the 1000 pesos challenge series. I find Apo Whang-Od beautiful. She has her moods din pala. Ehehe. Would want to visit the place and see her in person but not get a tattoo. Is it painful for you? I read a post before that it’s super painful and will become red all over. Anyway, I’mtoo scared to try I’m just curious. And did you give here a gift? haha! Hey, where’s the photo of your final tattoo? That’s what I was so curious to see hehe. What a great adventure! 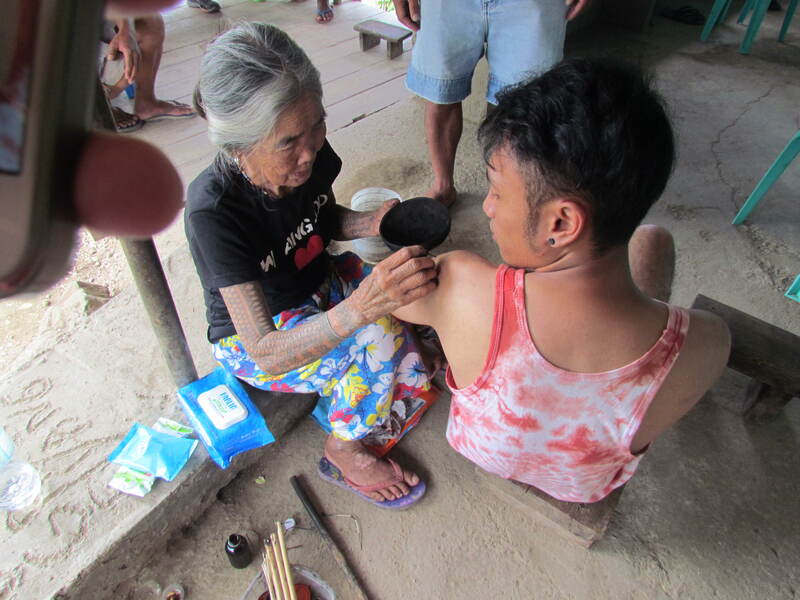 It’s so fortunate of you to have experienced being tattoed by the legendary Apo Whang-Od! AMAZING! Very useful and fascinating! That 1000-Peso challenge is such a great idea. I loved the tattoo artist..I don’t have any tattoos but I would consider having one from such a well-known artist with and her glorious ancient tradition. There are a few things that they’ve changed I see. Before they don’t have that after tattoo care guide, now they do, which I think is really good. 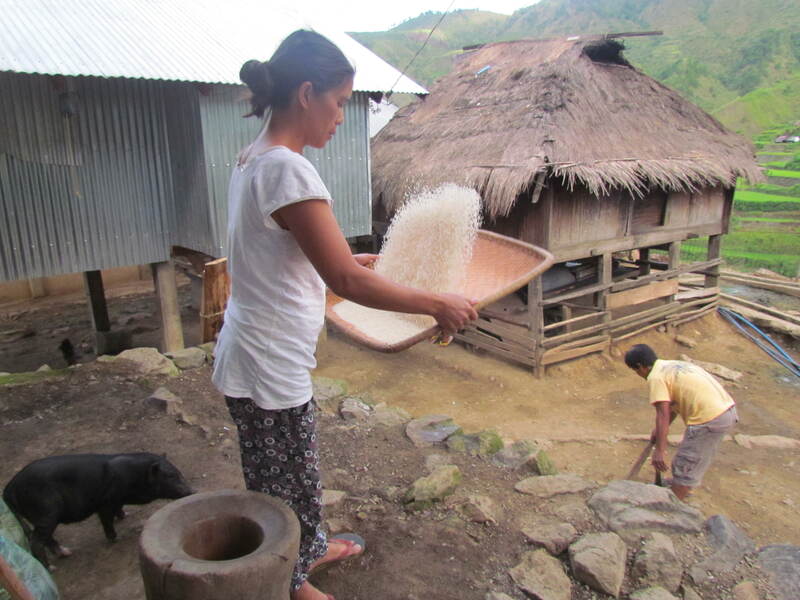 Going there is one of my most memorable trips, the people of Buscalan are nice and friendly. 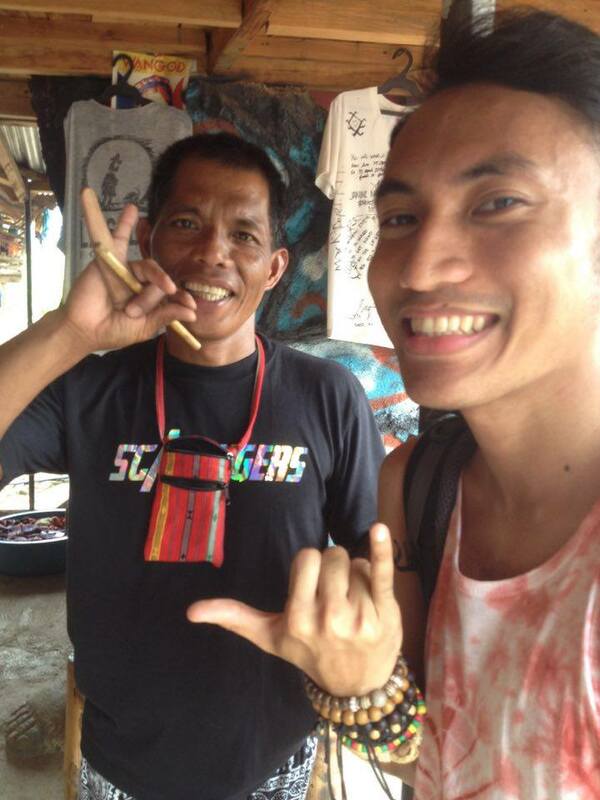 And of course getting the mark from the great Apo Whang-Od is an experience like no other. 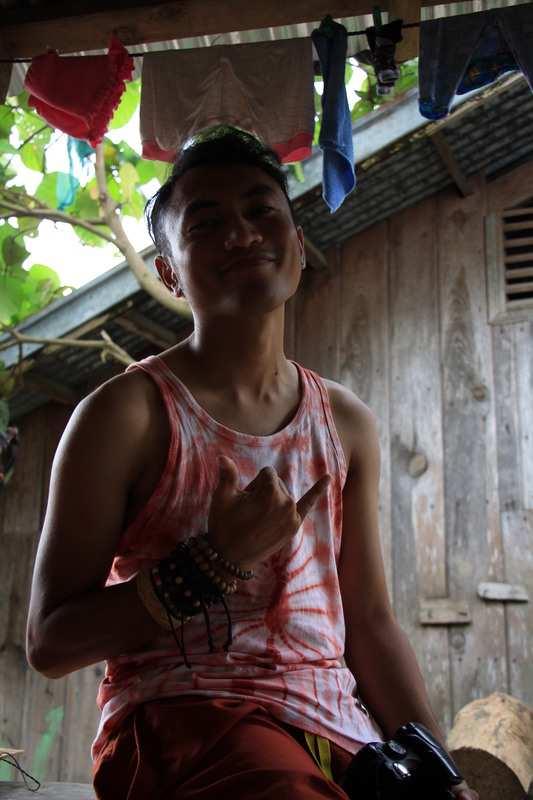 I want to come back just to explore more of Kalinga. 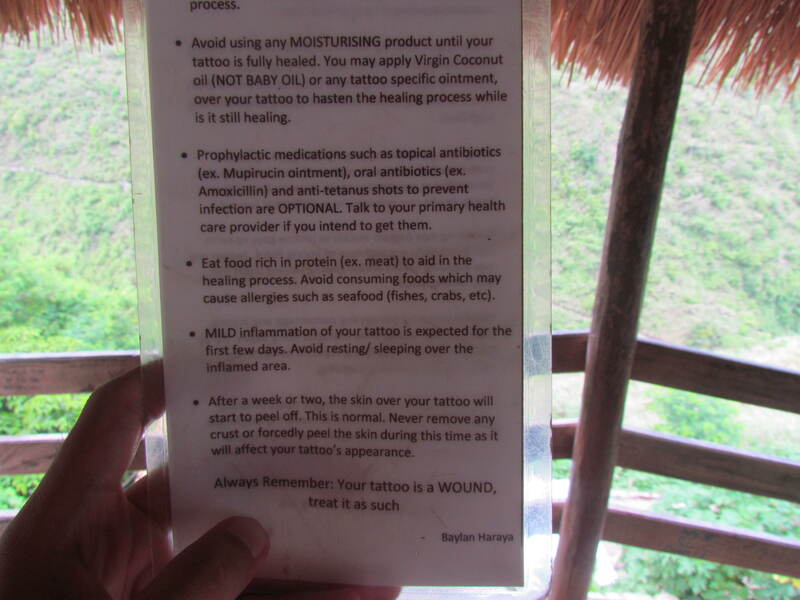 I’ve always wanted to have a tattoo by Apo Whang-Od but kinda scared of it as well. How is your tattoo? Never thought that someone can go so far at PHP1,000 now a days! Nice challenge! Wow to get a tattoo like this is so impressive. It’s so different than what I’m used to. I have two tattoos but they are put in the European way. I love your P1000 peso challenge series! 🙂 But yeah, I don’t think it’s possible to have only 1k to Kalinga especially if you’re gonna have a tattoo. Still, kudos for the effort in budgeting and tediously listing your expenses. It’s the first time I’ve seen that board of tattoos. I know a lot of people are asking what other designs Apo Whang-od offers. Very detailed, clear and concise blog! Thank you for sharing! 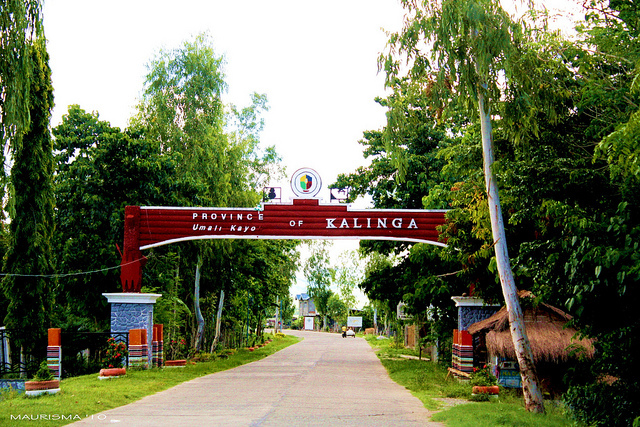 I have never been to Kalinga but your post definitely helped push me on the GO direction! But wait, what? A liquefied charcoal and a Pomelo thorn for tattoo? I feel like we’re back to Lapu Lapu’s era. Awesome post! Thanks for the extensive guide. This post just gave me an idea. More than the 1000 peso challenge (which is amazing, btw), I’ve been putting off getting a tattoo for the longest time. Now it’s clear. If I’m going to have a tattoo, I want one made by any one of these amazing women. 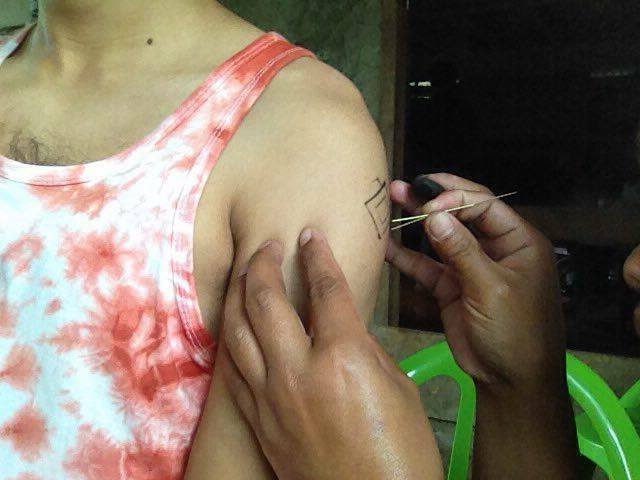 It would be better if I could have Apo Whang-Od do my tattoo. How was the tattoo experience? One thing I like about your posts, is that you’re bringing me to the same place. You make it so real. Great! Pomelo thorns. Interesting! I’m sure it’s painful but worth it.So what tattoo did you get? Is it possible that you’ll show a tattoo that you like them to ink to you or are they strict with what they had in the pictures? This gave me an idea for my personal goal to have one this year. What gift do you think would Apo Whang-Od appreciate? Waaw. 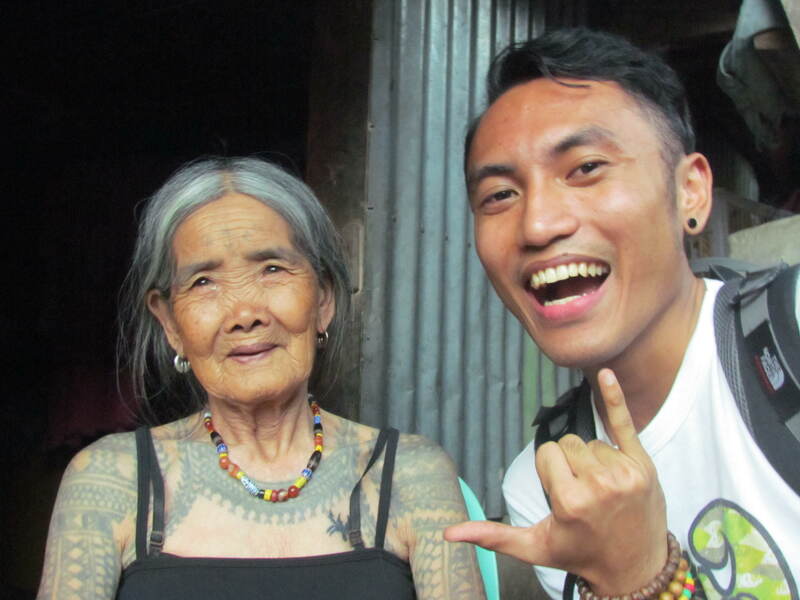 I never dreamnt of having a tattoo but if it’s from someone like Apo Whang-Od I might want to have one.